Do you have any pet mini cows available for sale? We aren’t going to show or breed them. We have a horse farm and would like 1 or 2 mini cows for pets. Yes, Crystal, we have several wean-lings to 3 year old’s that will work for you as a pet. I will send you an email detailing their vita. Thank you for your inquiry. We appreciate the fun and opportunity to meet new friends and customers. Yes we have several mini cows available my I point you to: https://falsterfarm.com/mini-hereford-heifers/ where you can see a bunch but not all of them born in 2018, now weaned and ready for your selection. Hi. 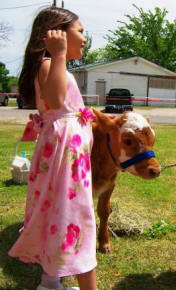 Looking for a mini cow to have as a pet thetas sweet! Not going to breed or anything of that sort just want something cute and small! Looking above you will see SHORT MORT, perhaps the new Guniess Book of World Records “Smallest Bull in the world record holder – will he do? Could you send me an email with details on the mini cows that you have. I have 2 little girls and we are looking to get one for them. We are looking for a pet Mini Hereford Heifer . Do you have any available? Yes, we have several mini heifers available. 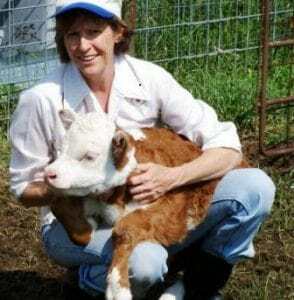 See: https://falsterfarm.com/mini-hereford-heifers/ for a few of them, and call Nancy at 903-629-3034 to make an appointment and come see them in person. My name is kevin I’m 15 and would like 2 to 3 pet mini cows could you hook me up with 2 or 3 that is at a cheap price. I appreciate your inquiry Kevin. I believe you talked to Nancy on the phone. If it was another young man, then forgive me, but this reply is for him as well. We have an intern program that works pretty well. You are still in school, i’d guess, so it would be a Summer project for you. I re-wrote this web site and much of the pages that detailed the program have yet to be integrated her. BUT, if you google search for interns on falster farm a good bit of those pages and testimonials will come up. After reviewing, feel free to give a call. We can work some out for you. Again, I appreciate your interest. I’m interested in obtaining some information on your mini cows. As an autism specialist, I currently have a mini horse and chickens. I’d like to possibly add a mini cow. Can you provide some information on costs and suggested transport? Kelly, thank you for the inquiry, we have 2 customers in your class of business, here in Texas and in Chicago area. We will be delighted to work with you and see that the mini cow that you choose will be a excellent match for your therapy program. I can think of no better match than SHORT MORT (pictured above). If not this year then next, we have this quality of a selection process. Do you have any calves available ,preferably a highland? Well, we have calves available, but we are in Texas and the Highland breed (in our experience) due to its great mass of hair, does not have an easy time of here 9 months out of 12. I love the looks of that breed, having seen them in Switzerland. We had a customer that we provided breeding services for that had them too. Good look in your search. Do you have any minis currently available for pet only? Yes, we have 3 left, I believe. Call and we can talk about the specifics. Do y’all have anymore available, I am looking for a mini cow and if so what are yalls price ranges? We are Life Members of the American Hereford Association, now raising miniature Hereford cattle for two decades. We have a sizable herd of mini Hereford, mini Red Angus, and mini Dairy cattle to choose from. We and not hobby farmers. We are a full orbed, organic farm and ranch. We offer the same guarantees that any member in good standing of our association’s by-laws require. But more importantly, your satisfaction is our strongest desire. We sell all our animals by Private Treaty. That means that you pick out exactly what you want, look at the data of that mini cows history from conception, get to at least see the parents, if not meet them, and are guaranteed to meet the agreement we make. Most of our females are in the $3,500 range, but we do have non registered that are as low as 1,800. Our bulls have sold as high as 10,000, and as low at 950.00. So, there is something that will meet every serious budget. Do you have any miniature herford calves for sale? May use for show and/or breeding in the future but looking for more of a pet as of now. So many happy children and grand children are a part of the Falster Family of customers. 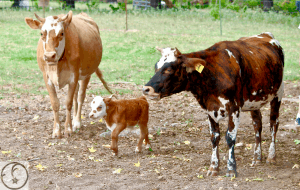 We have mini registered Herefords, mini registered Red Angus, Mini registered Jersey cows available at all times. We also have a few non registered mini cows that you can choose from. We welcome a “look see” by appointment by call Nancy at 903-629-3034. Please feel free to call and discuss all your questions. We are looking for a Pet mini to join our family. We aren’t looking to breed or show, just a family pet. If so, can you send pics and info of the ones you have available, along with a possible day and time we can come out for a visit to see them.